Leveraging data insights for competitive advantage is not new to the retail industry. Retailers have been pioneers in the use of analytics, both online and off. As a result, modern retailers leverage a growing range of data sources to understand everything from customer‑buying behavior and product trends to product‑price optimization and targeted advertising. Even so, AI is poised to take the retail industry to new heights. As neural networks become more and more efficient, and as technology gets more and more powerful, retailers are seizing the day, and using AI to predict what customers will want, when they will want it and where they will want it. For retailers, use cases for artificial intelligence are everywhere, from the pages of online shopping sites to the isles of brick-and-mortar stores. Let’s walk through some of the more common use cases. Shopping assistants — Retailers are using natural language processing, chatbots and virtual assistants to provide customers with live shopping assistance. Drawing on AI on the back end, these digital shopping assistants help tech-savvy customers instantly locate the products with the lowest price and the highest quality. The digital assistants can ask questions to clarify what customers are looking for and then help them search for products and place their orders. Along the way, customers can save both time and money — while driving higher sales for the retailer. Recommendation engines — With AI and the horsepower of high-performance computing systems, retailers can use consumers’ transaction history, social media sentiments and other structured and unstructured data to anticipate their needs in real time. This predictive power allows retailers to offer customers personalized choices as they shop. Targeted marketing — With the power of AI and machine learning at their command, retailers can now easily combine known customer sentiments and preferences with external factors, such as the weather and the day of the week, to deliver highly relevant suggestions at just the right moment. AI engines can help make those suggestions even more meaningful by determining where customers are in the buying process and tailoring the targeted marketing accordingly. Fraud detection and prevention — Every year, the retail industry loses billions of dollars to fraud and theft. AI-powered systems can help stem the losses by highlighting suspicious behavior that deviates from normal shopping activities and by implementing rules that prevent scams from being repeated, both in-store and online. Payment processing companies are helping with these efforts. For example, to help identify and stop fraudulent transactions, Mastercard leverages machine-learning algorithms running on HPC systems to examine each transaction against a set of 1.9 million rules as the transaction takes place.5 This capability helps Mastercard stop fraud in its tracks without disrupting or delaying legitimate transactions. Supply chain optimization — AI systems help retailers make the journey from the warehouse to the store as efficient as possible, removing unnecessary costs, waste and merchandise delays. In one such use case, sensors and transmitters along the supply chain feed data to back end systems to warn of problems that could impede the flow of merchandise. In another use case, retailers employ predictive analytics to help determine supply chain availability and demand based on weather. 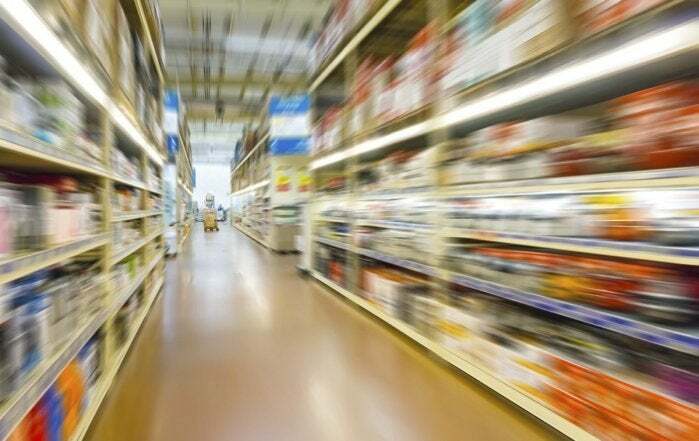 Inventory forecasting and stock level optimization — In physical and online retail environments, empty shelves and out-of-stock products are costly, and so are overstocked shelves. AI-powered systems help retailers avoid both of these problems by predicting purchasing patterns to help ensure that merchandise is available while reducing days in inventory and stock‑outs. With better predictions, retailers can keep inventory at an optimal level because they have a better view of the demand for products ahead of time. Customer data is everything to the Dell EMC Marketing Analytics team. Each customer touch point — whether it’s a phone call, email or online communication — represents a piece of data that thousands of Dell EMC sales professionals rely on to get more insight into their customers. To make the most of this data, the marketing analytics team uses an advanced analytics platform on top of a robust data platform, and delivers analytical data to a select group of Dell EMC sales and marketing professionals via dashboards. This solution enables the sales team to leverage predictive analytics to target the right customer at the right time with the right product. For an inside look at the Dell EMC Marketing Analytics team’s use of predictive analytics, read the case study “An Efficient Way to Discover New Customer Insights.” To learn more about unlocking the value of data, explore Dell EMC AI Solutions. 1 Coresight Research, “Reviewing 2018 U.S. and U.K. Store Closures,” January 10, 2019. 2 Coresight Research, “10 Retail Trends for 2019: Get Ready for Retail Reinvention,” January 24, 2019. 3 Capgemini Research Institute, “AI in Retail Report,” December 17, 2018. 4 Navidar, “Machine Learning is Driving an Innovation Wave in SaaS Software,” August 2017. 5 Dell EMC white paper, “Fighting fraud the smart way — with data analytics and artificial intelligence,” December 2018. 6 insideHPC, “Reinventing the Retail Industry Through Machine and Deep Learning,” 2018. 7 Forbes, “Amazon’s Robot-Filled New York Fulfillment Center Gives Rivals Another Reason To Worry,” December 10, 2018.